A Fantastic Fear of Everything sees co-directors Crispian Mills and Chris Hopewell making their directorial debuts, and having Simon Pegg starring in the lead is definitely a) a nice way to make your debut, and b) a strong suggestion that the film is going to be brilliant. 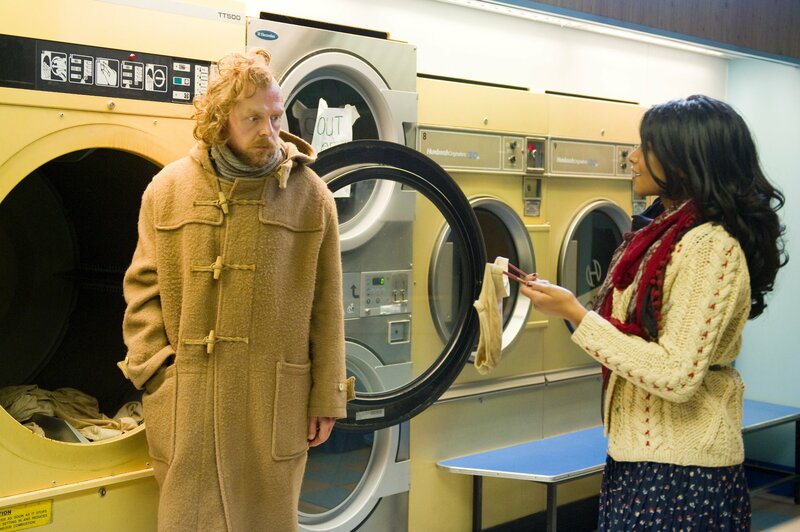 The awesome first trailer landed last month, and now with only a few shorts weeks left before its UK release, a new image of Pegg and his co-star Amara Karan (The Darjeeling Limited) has surfaced via the film’s official Facebook. In case you missed it, you can read Jon’s interview with writer/co-director Mills here, as well as catching up with the rest of our coverage for the film so far. Pegg is of course brilliant in everything he does, and Karan was excellent in The Darjeeling Limited, and I can’t wait to see this unfold on the big screen. Having wrapped J.J. Abrams’ Star Trek sequel, Pegg is currently shooting the pilot episode for Frank Darabont’s L.A. Noir, alongside Milo Ventimiglia, Neal McDonagh, and a certain actor with whom Darabont has recently worked with, but shall remain nameless so as not to give away any spoilers. Without a doubt, L.A. Noir is sure to be one of the best programmes of next year. Now is the time to get excited. A Fantastic Fear of Everything will be released here by Universal on 8th June here in the UK. No word yet on a US release, but we’ll bring you news as soon as we get it. As usual with this great new image of Pegg, Karan, and a pair of underwear, you can click to enlarge.